A couple years ago, I saw a crushed glass manicure here and couldn't get it out of my head. I thought it was brilliant, yet so impractical. I finally did my own version that is far less dangerous, but still has edge. 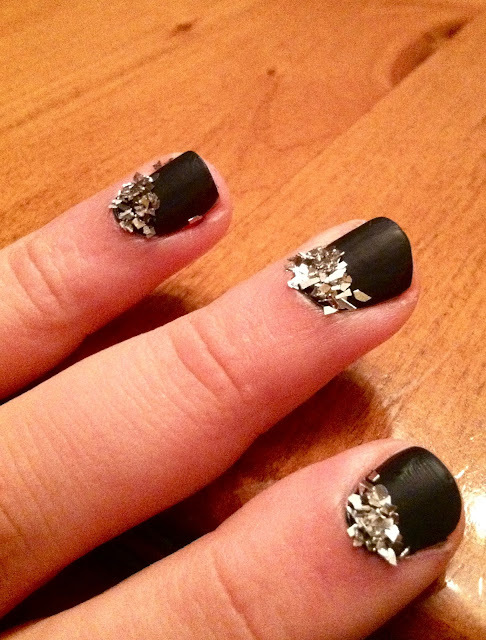 you'll need: nail polish, topcoat, glitter and a sheet of paper. 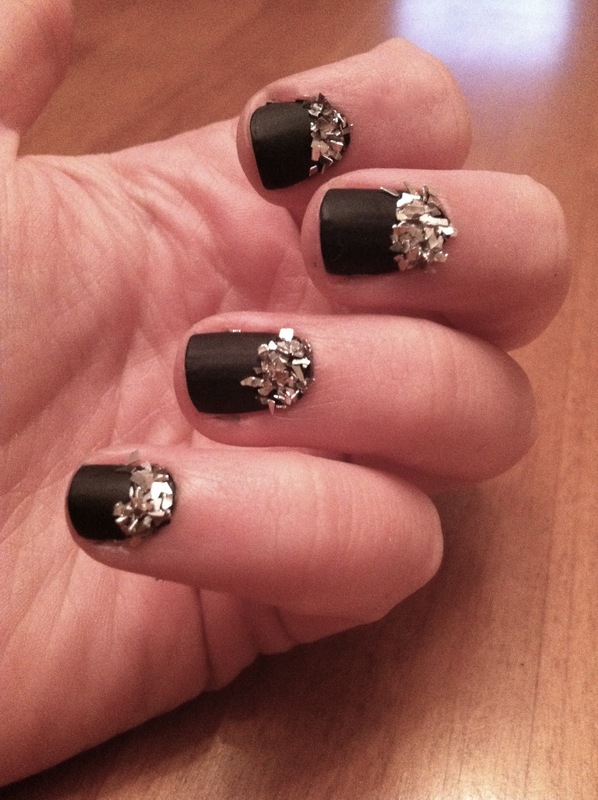 I used a matte black polish ( I recommend using Essie's 'matte about you'), OPI's topcoat and Stampendous's crushed glass glitter available at your local craft store or also found here. instructions: After your nails are dry with polish, run a layer of top coat wherever you want the glitter to stick (I chose a reverse tip for a different effect). 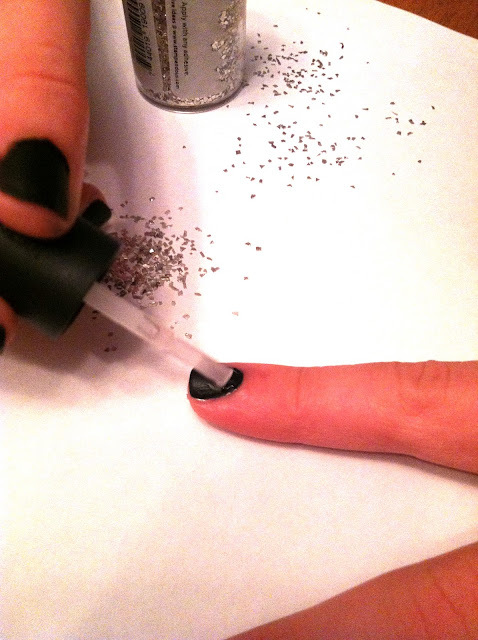 Pour the glitter over the wet top coat and then tap your nails against the paper. 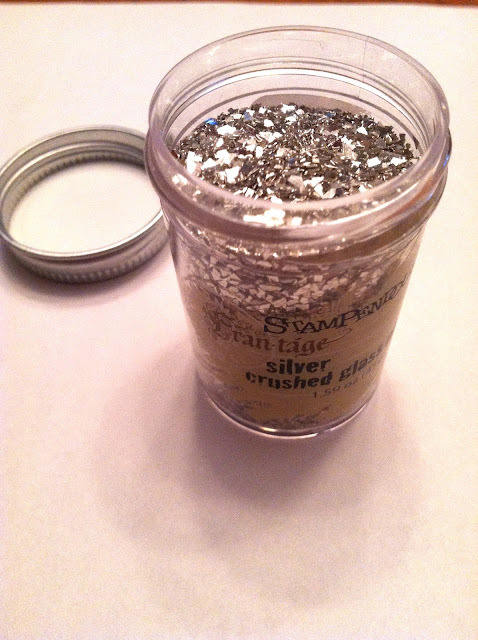 Paper is better to use than a paper plate because it can be easily turned into a funnel to dump the excess glitter back into the container. 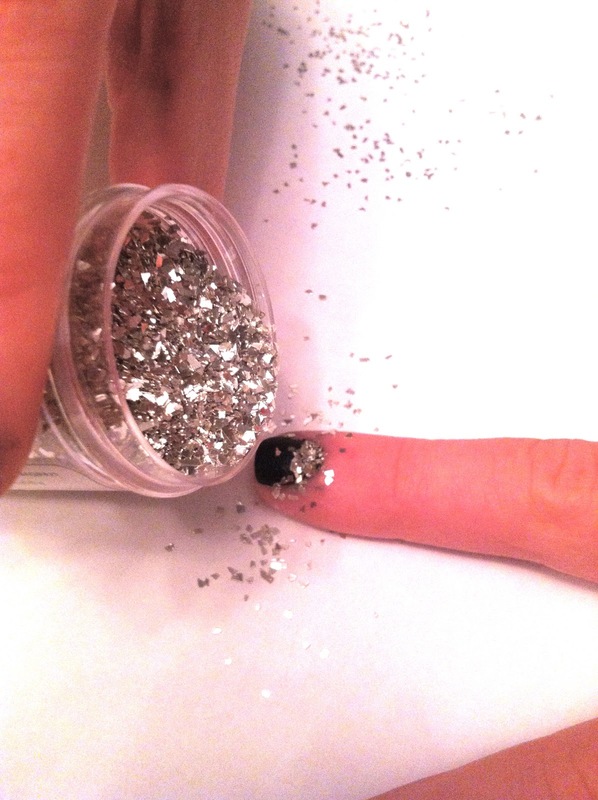 After the topcoat dries, run your hands under cool water to gently rinse away any extra glitter that didn't tap off.